What is it about the materiality of blood, our own blood that provokes visceral reactions? Why is there such a strong aversion to outward expression of trauma, self-mutilation and female anger? These works question cultural and political ideals about the ‘whole’ or healthy body by highlighting our own attitudes about mental health and the ways in which women express anger. 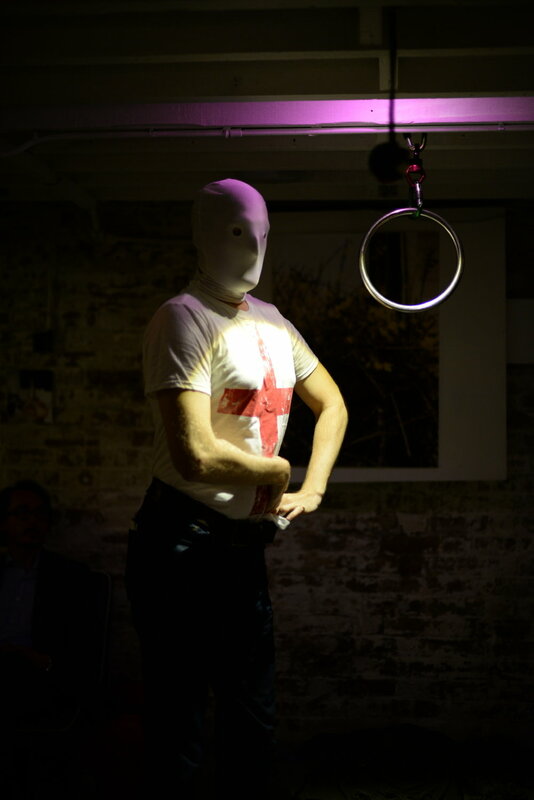 They offer critical responses to political use of the body, highlight the ritualistic nature of state activities (such as detainment) and challenge classifications of alternative radical bodily practices. Annularsis 2- collaborative work by Lizzie Masterton and Natalie Wearden.